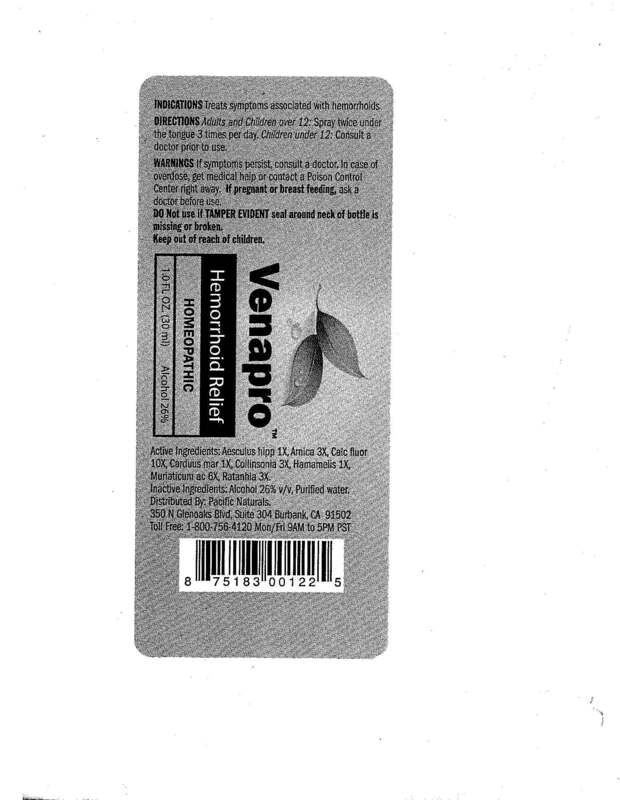 INDICATIONS: Treats symptoms associated with hemorrhoids. DIRECTIONS: Adults and children over 12: Spray twice under the tongue 3 times per day. Children under 12: Consult a doctor prior to use. WARNINGS: If symptoms persist, consult a doctor. In case of overdose, get medical help or contact a Poison Control Center right away. If pregnant or breast-feeding, ask a doctor before use. ACTIVE INGREDIENTS: Aesculus hippocastanum 1X, Arnica montana 3X, Calcarea fluorica 10X, Carduus marianus 1X, Collinsonia canadensis 3X, Hamamelis virginiana 1X, Muriaticum acidum 6X, Ratanhia 3X.